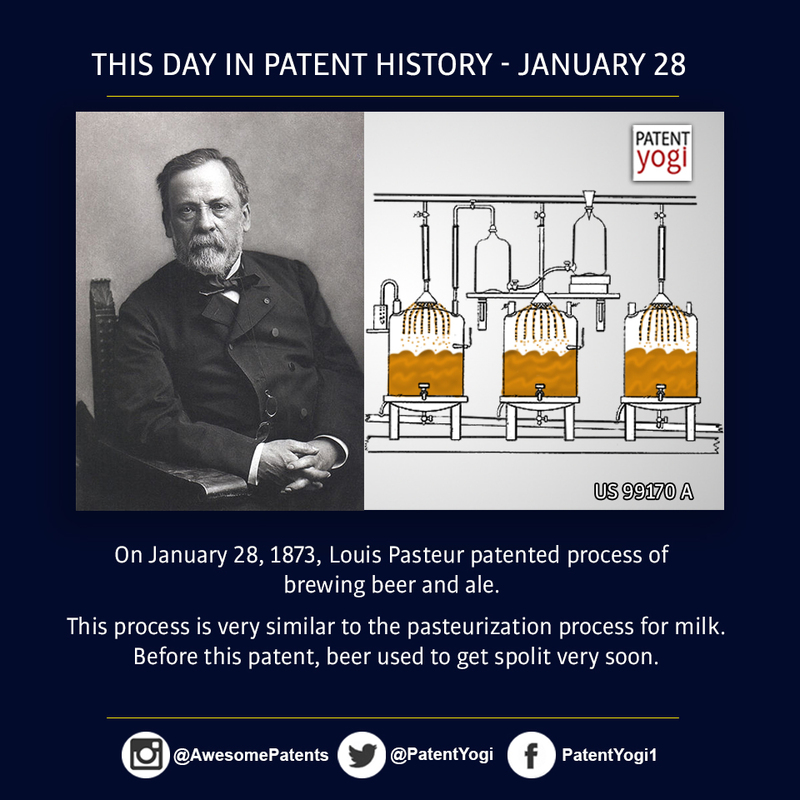 On January 28, 1873, Louis Pasteur patented process of brewing beer and ale. This process is very similar to the pasteurization process for milk. Before this patent, beer used to get spolit very soon.